ISLAMABAD: Chief of Army Staff (COAS) General Qamar Javed Bajwa said on Sunday that democracy in the country was fostering with time. The army chief was speaking to the media at Arif Alvi’s oath-taking ceremony. 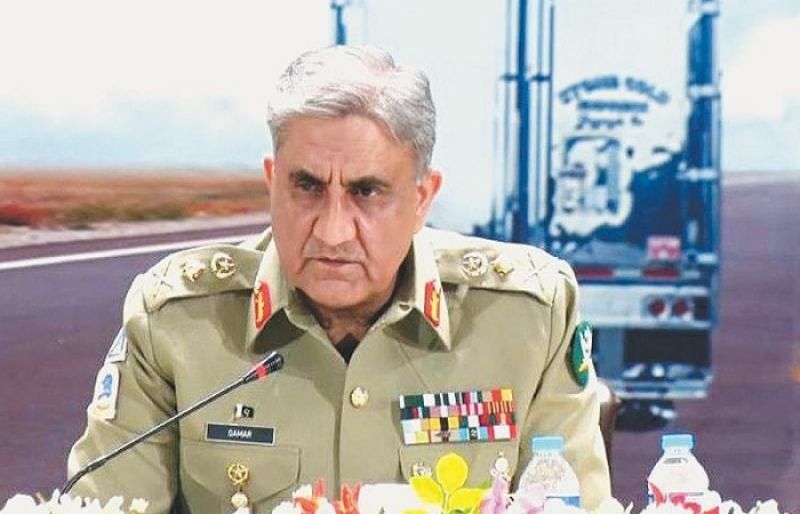 “Democratic institutions are quickly becoming more robust and will only get stronger with the passage of time,” Gen Qamar was quoted as saying. “This is an important day for the continuity of democracy in the country,” the COAS added. Alvi was sworn in as Pakistan’s 13th head of state in a ceremony held at Aiwan-e-Sadr in Islamabad. Chief Justice of Pakistan Mian Saqib Nisar administered the oath in a ceremony that was attended by top civil-military brass including Prime Minister Imran Khan, Bajwa and Chairman Joint Chiefs of Staff Committee Gen Zubair Hayat. Saudi, Chinese diplomats also attended the presidential oath. It is pertinent to mention that civil-military relations have always been subject to controversies in Pakistan. The relations went particularly sour during the tenure of the erstwhile ruling party Pakistan Muslim League-Nawaz (PML-N), following the controversial Dawn leaks. After the eviction of former PM Nawaz Sharif by Supreme Court in the infamous panama leaks case, the PML-N leadership, especially Nawaf Sharif, openly criticized the role of Pakistan Army and even accused it of cross-border terrorism in an interview. In the past, Pakistan has been viewed in the west as a country influenced by its armed forces, but the country has witnessed positive chances in this narrative since the arrival of the Pakistan-Tehreek-e-Insaf (PTI) government, led by Imran Khan. Soon after taking charge, PM Imran Khan went to GHQ where he held an eight-hour long with the military heads. The PM was briefed on the overall security situation of the country as well as on the workings of the army. On September 6, during a ceremony held in the honour of the martyrs of Pakistan Army, PM Imran Khan reiterated that the government and army was on the same page, which is to help Pakistan stand on its own feet. He went on rebuff all rumours regarding a possible rift between the government and army, and said that Pakistan Army, like other institutions, was working in close coordination with the government.